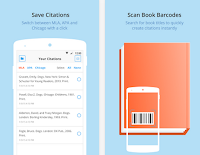 Below are three good Android bibliography and referencing apps. 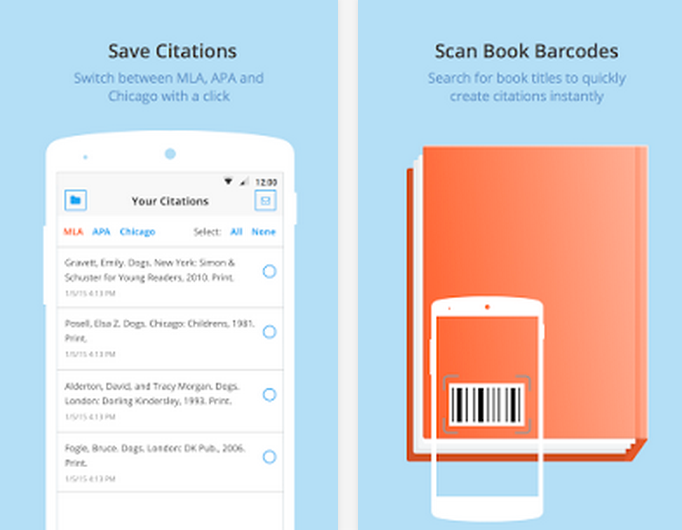 These apps are particularly curated for student researchers and academics. They provide a wide variety of features geared towards helping you with your research papers and enhancing your academic productivity. Check them out below and share with your colleagues. 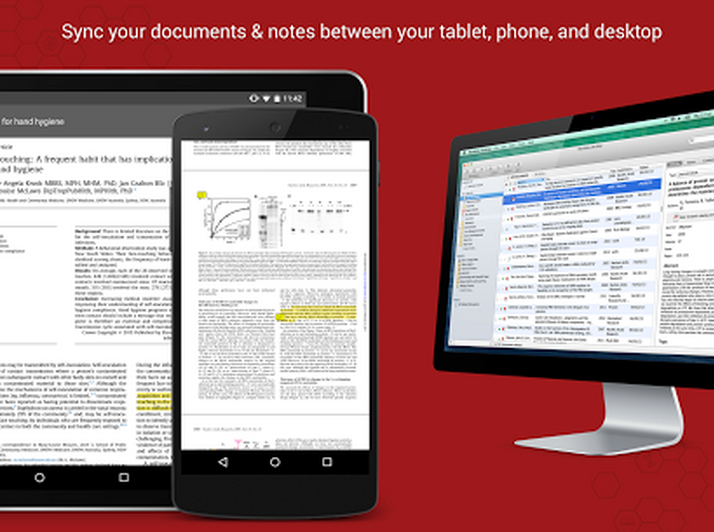 Mendeley is a free reference manager and PDF reader designed for researchers, students, and academics. Whether you're writing your dissertation, organising your literature for easy retrieval, or need to read journal articles on the go, Mendeley can help. 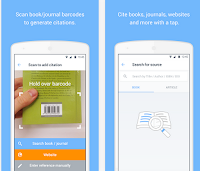 Generate citations by scanning book or journal barcodes using your phone’s camera. No Barcode? Search by Book/Article Title, ISBN, ISSN, DOI or URL. Citing a website? Simply paste in the URL or use RefME.com, which syncs with the app and is perfect for websites. A wide variety of citation styles including APA, MLA, Chicago and AMA as well as most school/college-specific styles. 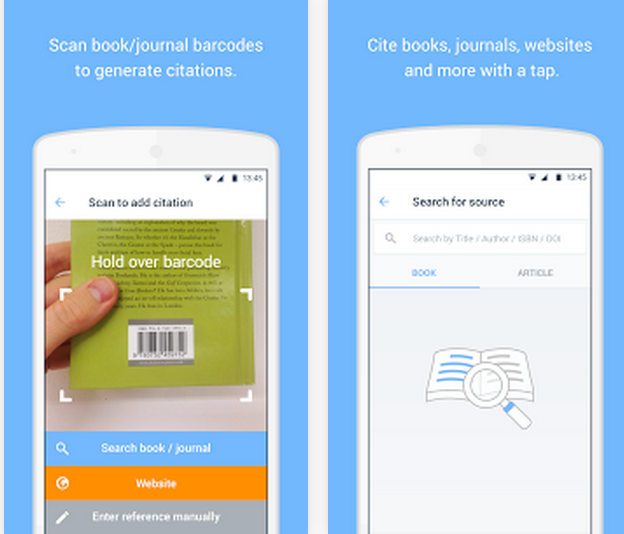 Add notes to your citations, both in the app and at RefME.com. Export via Email or Evernote using the app. Send your work straight to MS Word, EndNote and more from RefME.com. Follow us on :Twitter, Facebook , Google plus, Pinterest .